This is a basic roulette computer without all the sophisticated features of the Uber and Hybrid. Like the Uber, it uses modified mobile phones. Its algorithms are a modified version of the basic roulette computer algorithm so it can produce accurate predictions at any ball speed, without incorrectly assuming ball deceleration is linear. However, it is incapable of sophisticated scatter analysis, including adjusting for different scatter on different rotor speeds. It also does not target specific diamond hits, or adjust for ball deceleration changes. Essentially it a sophisticated version of a simple computer to ensure it is practical and covert to use. It is designed specifically to be better than any other computer, except the Uber and Hybrid. It is intended to be more an introduction to roulette computers, so that its users can build bankroll and eventually purchase the more powerful Uber or Hybrid models. This is as basic as roulette computers get. It uses the standard basic roulette computer algorithm. It is very similar to the FFZ and FFV devices developed by Miro Zirdum (Forester). I provide it FREE to my genuinewinner.com players because it is no comparison to my other computers. This device is one of the microprocessor roulette computers we developed. It is very similar to the FFA device available from Miro Zirdum (Forester). 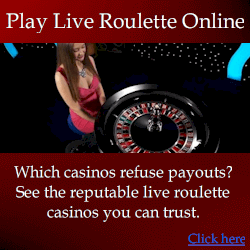 It uses the standard basic roulette computer algorithm. We only created one of these devices to compare the exact same algorithm on a modified mobile phone, to determine whether or not the microprocessor had any advantage over the modified mobile phones. We found that while the microprocessor device processed timings with greater accuracy, the difference in actual prediction accuracy is insignificant – there was no measurable difference at all. Specifically the microprocessor is accurate to within 0.0001ms, whereas the modified mobile phones are only accurate to 1ms which are both very short times. Considering that the average error from manual clocking of the wheel has 50ms error, the difference between 0.0001ms and 1ms is completely insignificant. This device is almost identical to our microprocessor test unit, but still significantly less practical than the lite roulette computer. It uses the basic roulette computer algorithm, with the addition of predictions at any ball speed by incorrectly assuming the ball deceleration is linear. It uses an inappropriate attempt at diamond targeting which is still being developed. It does not adjust for the ball’s ever-changing ball deceleration rate, and incorrectly assumes the ball will bounce the same way on different rotor speeds. This is very similar to the FFA device, except that it uses either vibrations or electric zaps that must be observed so the player knows where to bet. My Uber roulette computer can use vibrations in the same way, but use of wireless earpieces and voice predictions is a far better option. However, the FFZ and FFV are is most similar to my Basic version which I distribute for free. The FFV and FFZ also use the basic algorithm, with the addition of predictions at any ball speed by incorrectly assuming the ball deceleration is linear. This device is very poor and barely capable of beating the most predictable wheels. It uses an algorithm that is similar to the basic algorithm. Visual ballistics without this device is a significantly better option. This appears to be a rushed and untested device. I was sent this device for free by someone who was unable to obtain a refund. This is more a beat keeper called a “thumper” than a roulette computer. Thumpers are used as a visual ballistics aid. They are not exactly roulette computers. If you have a device that gives you regular vibration pulses, then you have this device already. You don’t need to pay anything for this as you can download free mobile phone software that does the same thing.